For amazing desserts, sides, and starters, try barbecued fruit. If you haven’t barbecued fruit yet, you are in for a treat. Barbecuing caramelizes sugars and brings out amazing flavors to any kind of fruit. Barbecued fruit is not just for dessert, either. It can be used as side dishes, in fresh salsas, and as part of delicious appetizers. Here you will learn how to barbecue pineapples and peaches for fruit salsas and sweet treats, and barbecue bananas for simple yet delicious desserts. Select ripe but firmer bananas. 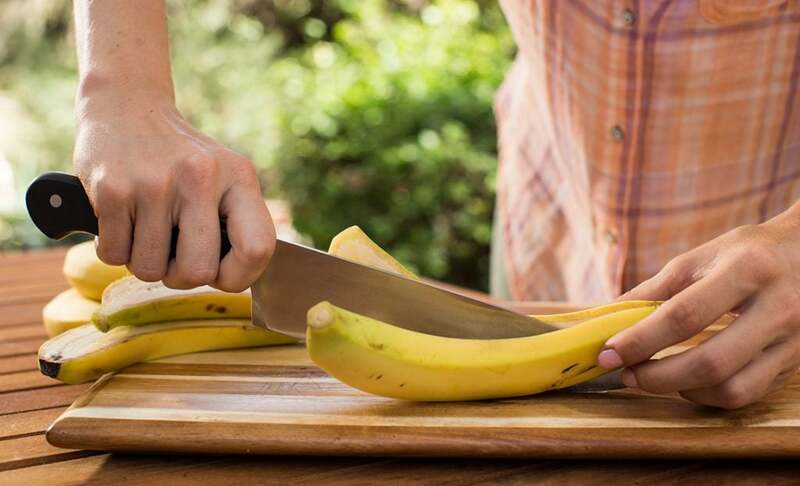 Overripe bananas get soft quickly and are more difficult to barbecue without falling apart. Also, leave the skins on so the bananas are easier to handle on the BBQ. Cut them in half lengthwise. For barbecuing fruit, set up a two-zone, medium-hot fire. 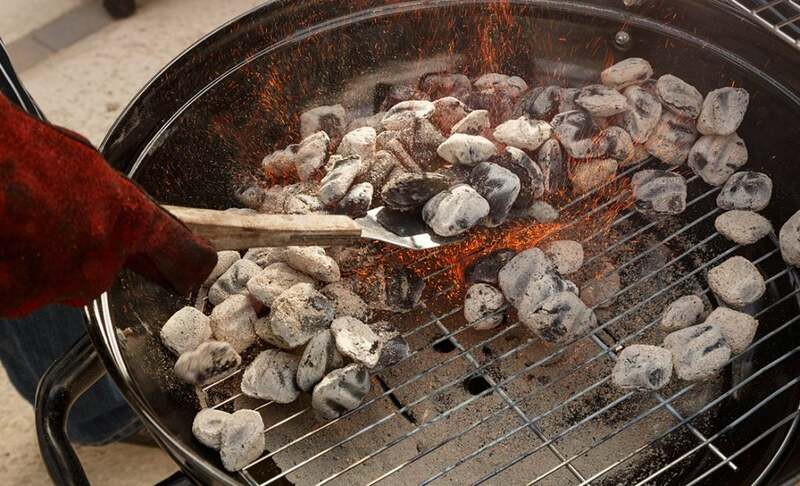 Fire up a full chimney of Kingsford® Charcoal, or light a pile of about 100 briquets. When the coals are ready, arrange them in a two-zone fire. 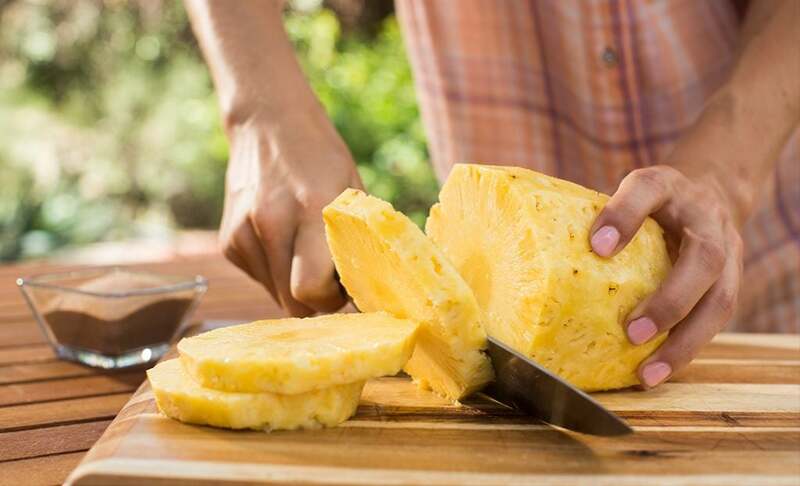 Replace the top grate, allow it to heat up—all vents should be fully open—then just before placing the fruit on the grate, dip a folded paper towel in cooking oil and oil the entire grate using long-handled tongs. Barbecue the pineapple until the flesh has good grill marks and the surface is slightly caramelized. Flip the pineapples and barbecue the other side. Move to the cool side in case of a flare-up. Barbecue until they are slightly tender but not too soft. Place the peaches cut side down on the BBQ directly over the coals. Cook until they have good grill marks or are slightly caramelized. Move them to the cooler side of the BBQ and let them finish up until they become a bit more tender, but not too soft. 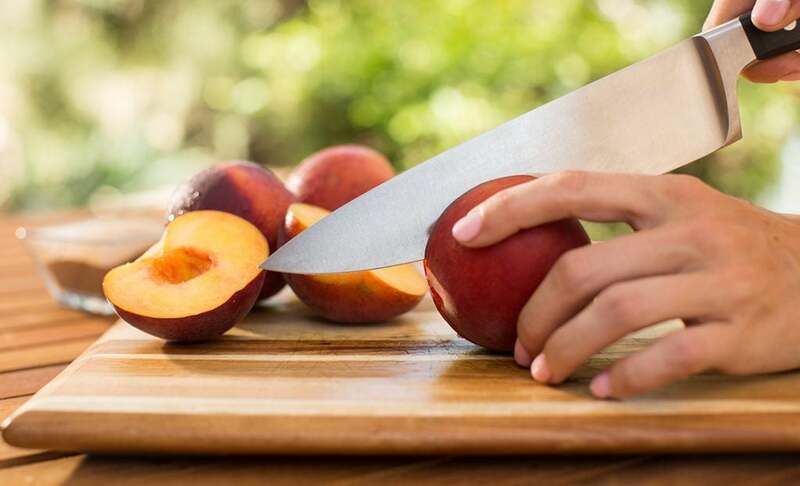 If using the peaches for desserts, sprinkle with cinnamon sugar on the cut, barbecued side. Barbecue the banana quarters cut side down, skin side up. Roll the bananas slightly to barbecue the other cut side. Get some nice grill marks, but move them to the cooler side so they can heat through but not burn or get too soft. Once tender, remove from the BBQ and sprinkle the barbecued sides with cinnamon sugar. 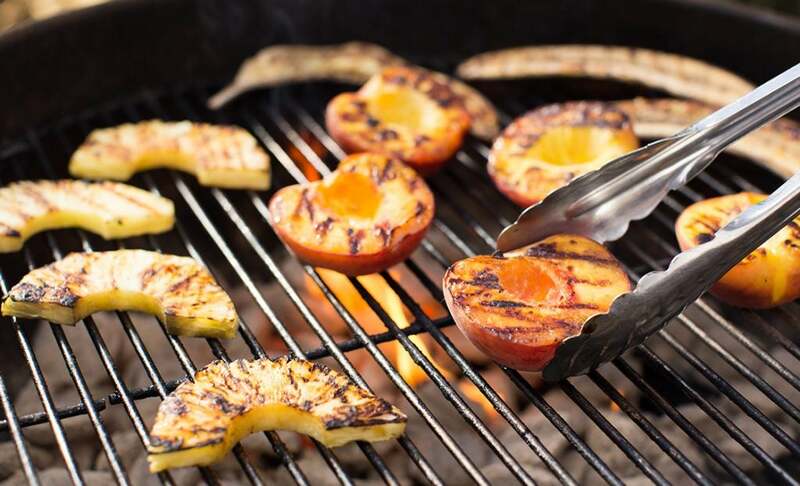 Barbecued pineapple, peaches, and bananas are a great component in any dessert. 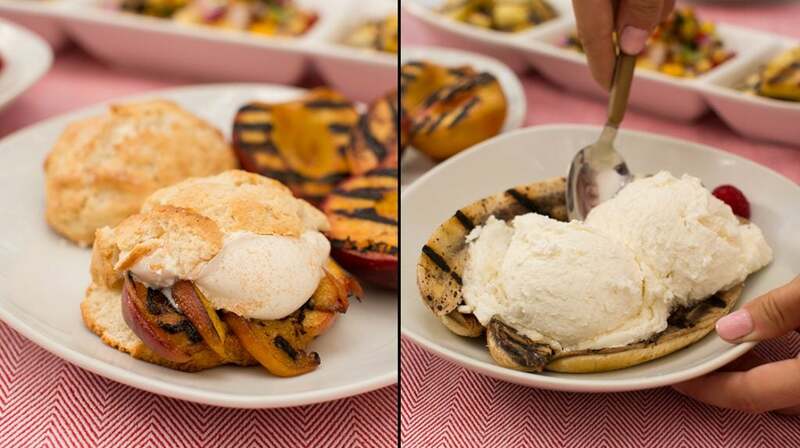 Serve them hot off the BBQ with vanilla ice cream or make a shortcake with barbecued fruit and whipped cream. You can even make an amazing barbecued bananas foster by adding a hot butter, rum, and cream sauce. The dessert possibilities are endless. When you barbecue fruit, the natural sugars get caramelized which brings out deep, rich flavors. Combine the sweetness of the barbecued fruit with savory flavors of meats and you create something really special. 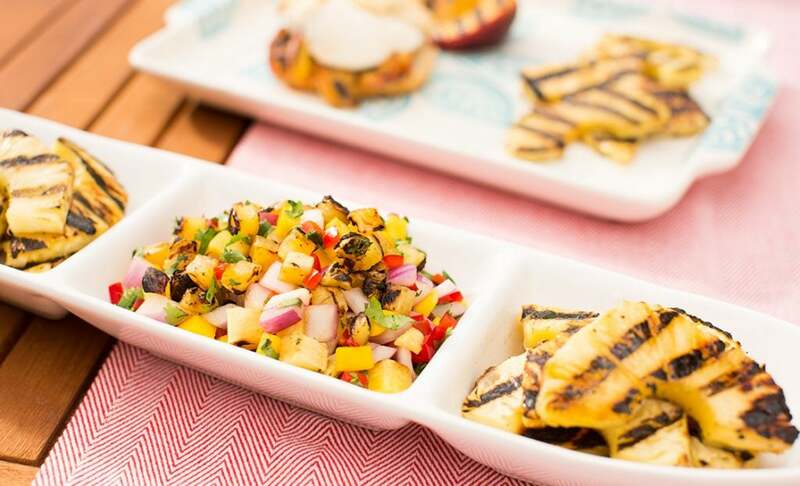 Barbecued fruit salsas are simple to make and pair nicely with fish and chicken. Just add some barbecued pineapple or peaches to your favorite salsa recipe. Or try barbecuing fresh figs stuffed with goat cheese and wrapped with bacon for an amazing appetizer that marries sweet and salty flavors.